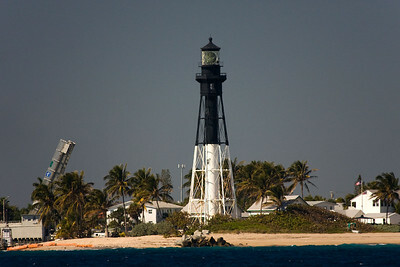 Day 3- Peanut Island to Port Everglades. 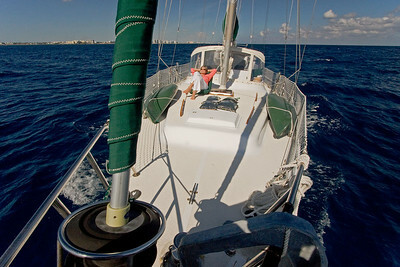 Departed Peanut Island and ICW around 0730. 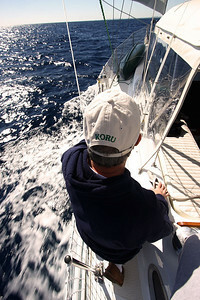 Motored out the inlet into the Atlantic Ocean, swells 3'-6' with winds out of the north at 5-15 knots. Water was Beautiful, could see 30 feet to the bottom. Arrived Fort Lauderdale - Port Everglades at 1630. Kayaked for an hour, big homes and yachts everywhere. Charlotte cooked Teriyaki Salmon, noodles, veggies while I helped Ray with corn on the cobb off the grill. It was YUM!! Calm and clear night. Ray changed the water pump but realized the water filter was either faulty or didn't work so he changed the water filter. It worked. 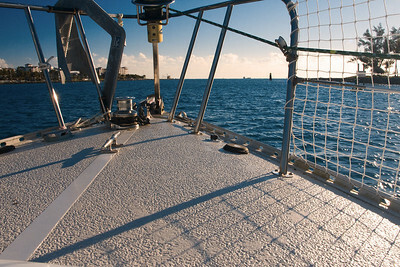 Cats view of early morning departure out of Lake Worth Inlet. It's a gorgeous morning. 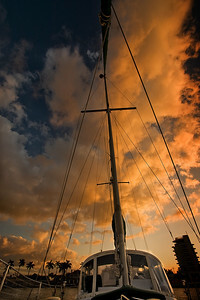 We will initially motor out, then raise the sails for the first time. Winds have eased since last night but are expected to be 10-15 knots out of the NW by the afternoon. 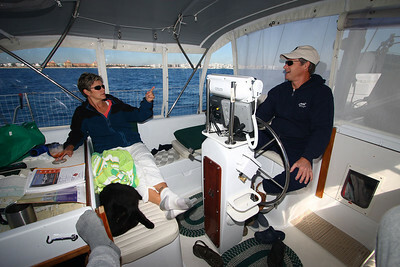 We had charts and guides scattered all over until Ray installed a holder on the side of the captains seat. 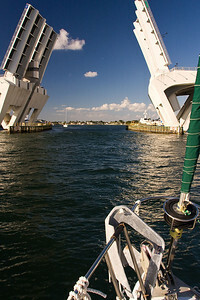 Inlets can sometimes be rough and dangerous to boating when tides and winds mix just right. Charlotte uses binoculars to look out at the inlet at the wave conditions. Too rough and we turn around to follow the ICW to our next stop, luckily she gave the thumbs up and we leave protected waters to sail the Atlantic. 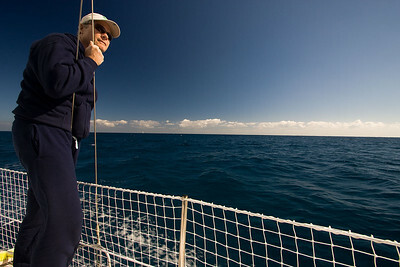 The motion of the Atlantic waves are comfortable and Charlotte enjoys the morning sun. 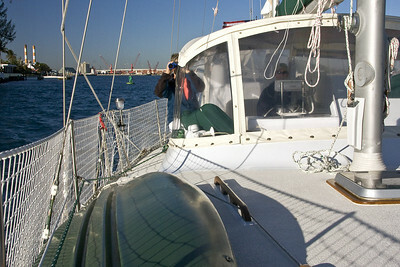 The cockpit flaps and windows could be zipped open on all four sides, enabling entry/exit from anywhere on the deck. The depth was around 35 feet a mile or two off the coast. The water was clear enough that we could see the bottom. 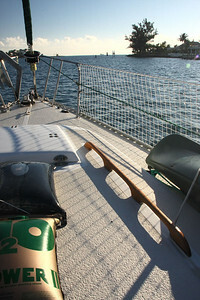 I had to lean out from the bowsprit and and extend my arms (shadow) to get this shot. 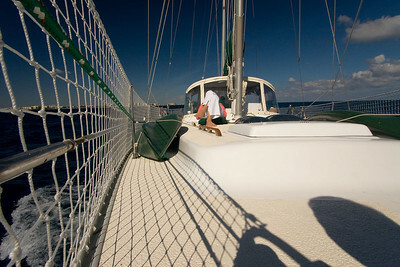 Finally under sail!! 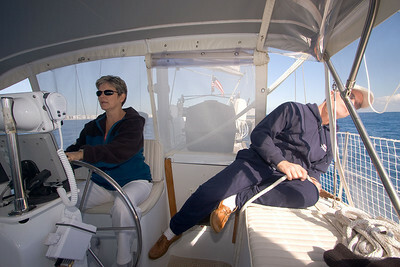 We had favorable winds to fill the sails but following seas made the for a rolling ride. 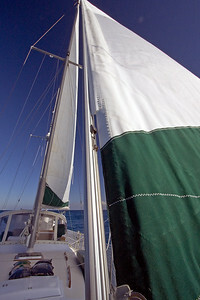 Roller furling headsail is a beauty. 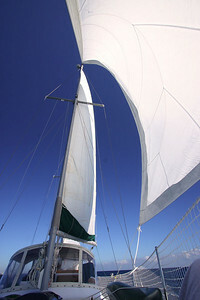 Ray checks out the fill of the sails. 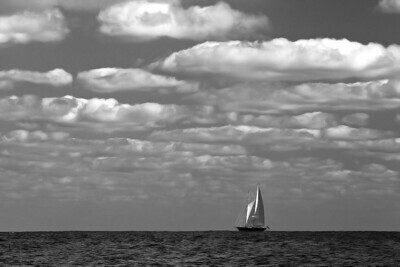 One other sailboat low on the horizon keeps us company. From this angle it looks like we could be in the middle of an Atlantic crossing. 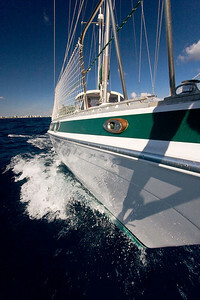 Water blurs by while we speed along at oh, around 6 knots. 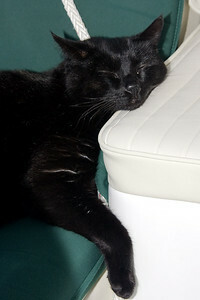 Figs, he likes to prop his head on something when he sleeps. We weren't the only ones who were sailing. This very large sailboat was in the process of hoisting sails before making a right turn to head out into the Atlantic Ocean. 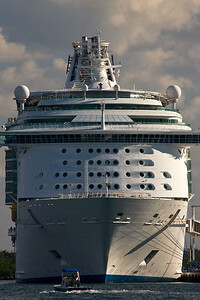 Pax are seen looking out from this Port Everglades cruise ship as we enter the inlet. Last bridge after which we will motor around some canals and drop anchor for the night. 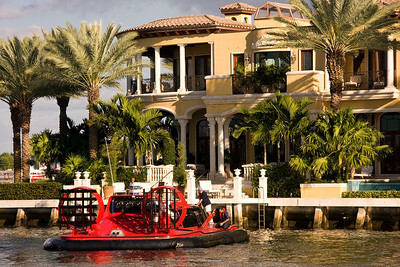 The houses and boats in this area were outrageous. 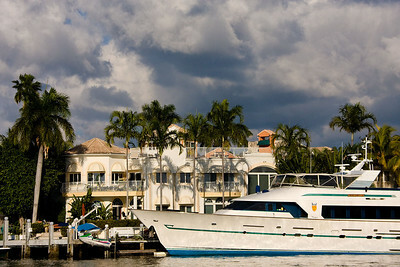 Beautiful homes and huge yachts were the norm. 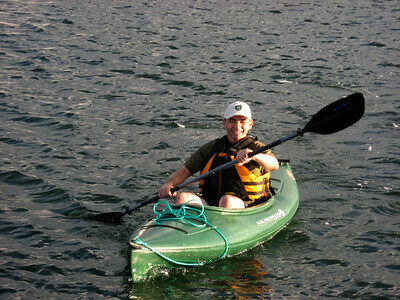 The kayaks worked great to get into small areas to explore. Charlotte checks the charts to plan out the next day. 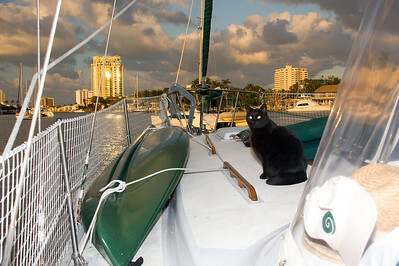 Felix got seasick a couple of times but came out of it ok.
A great sunset. When the engine shuts down, its the signal to explore the deck for Figs and Felix. Another great meal with Ray and Charlotte. 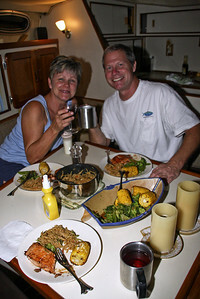 We ate salmon, oriental noodles and grilled corn on the cobb! I loved it!